I have been painting and sketching. Weather has been sunny and I was able to finish a longtime painting project. 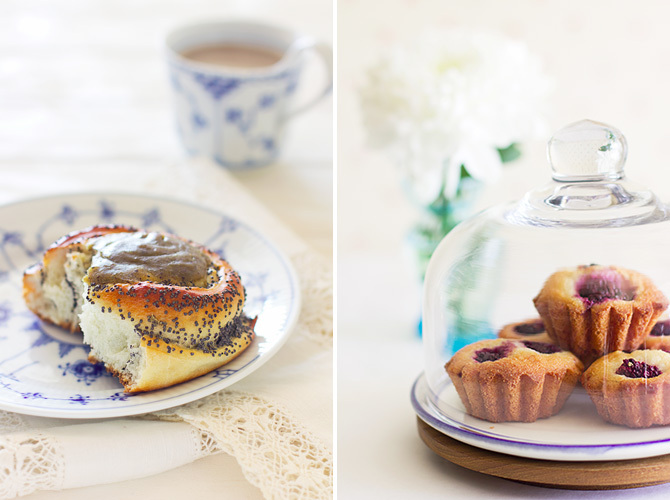 Baked poppy seed buns and blackberry friands. Still working on the poppy seed bun recipe, not quite satisfied with the filling. Here I used organic pistachio paste in the filling but it didn't live up to my expectations. I've been wanting to try a crab burger ever since watching the SpongeBob cartoon. Seeing him flip those juicy krabby patties in the Krusty Krab kitchen worked wonders on my imagination. I don't know the secret sauce recipe so I just made my own. A simple mayonnaise-based sauce with lemon juice, paprika, tomato paste, mustard, Tabasco and kefir. Could throw a few capers in there as well. Although I've used Asian-style seasoning here, the patty can be flavoured differently, say with horseradish and mayonnaise. Pick through the crab meat, removing any bits of cartilage. Mix together the crab meat, coconut cream, grated ginger, oyster sauce, fish sauce, whisked egg, chilli, lime zest and crumbed toast slices. Taste and adjust seasoning. Let rest in the refrigerator for a couple of hours. Mould into patties, two large or four small ones. Roll them in panko (or grated coconut) and fry on a griddle or in a frying pan until golden on both sides. If you make very thick patties, then you might want to pop them in the oven after frying, for about 8 - 10 minutes. Tuck a patty between a bun lined with fresh salad, adding some slaw and sauce on top. 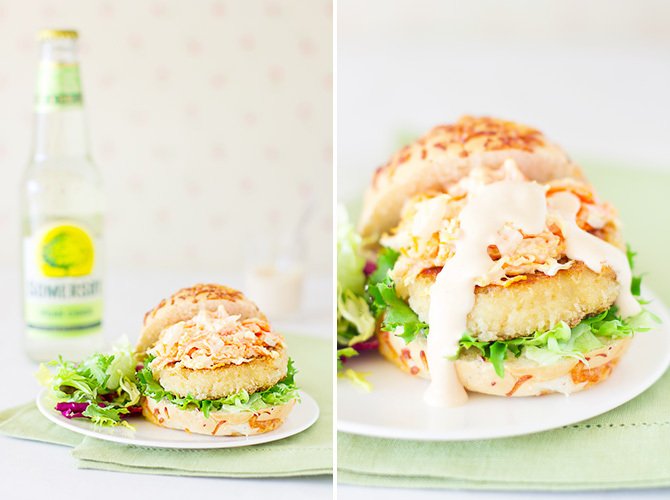 That crab burger looks really delicious, and pics are great! That's not a sketchbook, is it? It looks like some kind of Swedish graduation or yearbook kind of thing. The pictures are amazing! I have no desire to eat crab but it sure looks yummy. Nah, my sketchbook is only half the size. 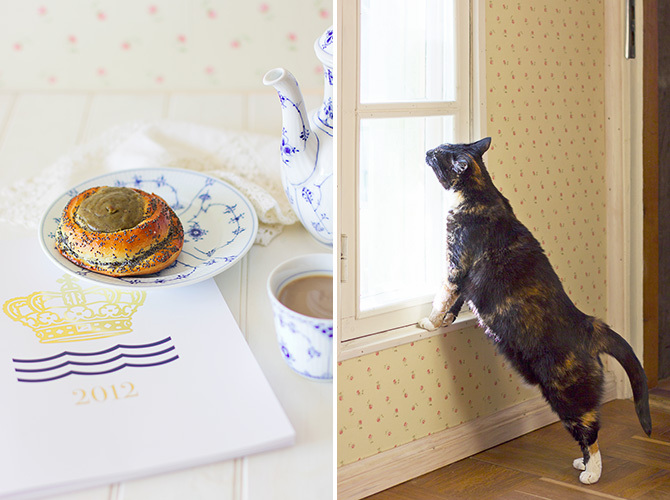 That is the annual catalogue of Royal Copenhagen I received recently.